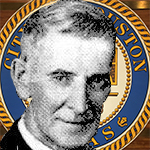 On July 1, 1903, the day that the Office of the City Controller was created, Tom Bringhurst was named the first Controller of the City of Houston. Mr. Bringhurst had previously held the post of Assistant Auditor, which made him a logical choice to fill the newly-created Controller’s position. 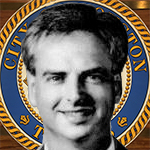 As City Controller, Bringhurst did not create many headlines, since his main task was to establish the office as anew branch of government, with the essentially bookkeeping function outlined in the City Charter. During much of this time, Bringhurst was also City Secretary. Bringhurst was Controller for nearly five years before resigning in 1908. After the resignation of Bringhurst as Controller and City Secretary, the City Council began the task of choosing a replacement for those two positions. On May 25, 1908, Mayor Rice nominated Dan C. Smith, Jr. to fill the Controller’s position after one Alderman suggested that Bringhurst succeed himself. Smith was then elected City Secretary, and the tradition of a combined Controller and Secretary was continued. As with Bringhurst, Smith ran an office that garnered little public attention, and there was little of the controversy over the Controller’s role in government that characterized later administrations. After holding the Controller’s position for more than five years, Smith resigned in 1913. Following Smith’s resignation, the offices of Controller and Secretary were once again left open. However, those vacancies were filled with the October 2, 1913 appointment of E.B. Bonney to take Smith’s place in both positions. It was under Bonney that the City Charter was altered to provide for an elected Controller, a change that was approved by the voters on October 15, 1913. On April 12, 1915, E.B. Bonney became the first popularly elected City Controller, almost two years after his original appointment. Bonney was reelected several times, but battled illness and finally died in office in 1920. After the death of Bonney, the Council appointed Assistant Controller Harry A. Giles to fill the remainder of Bonney’s term as Controller. However, Giles did not serve as City Secretary as past Controllers had done, which shows that the Office was gradually becoming more demanding and influential. Giles went on to serve under four mayors, and during his seventeen year tenure earned the image of an official who scrupulously guarded the funds against waste and extravagance. Because of this image of guarding the city funds with a strong and honest hand, Giles earned the title "watchdog of the city treasury". Despite his hard work, Giles himself was not well known because of his refusal to campaign or take campaign contributions. However, even though Giles did not campaign and was seen as the stern "watchdog" who was not afraid to anger colleagues with his decisions, Giles made the Controller’s Office very well-respected for its high principles and nearly flawless work. After Giles had spent seventeen years turning the Controller’s Office into a model of objectivity and efficiency, he died suddenly of a heart attack in 1937. The death of Harry Giles left the position of Controller open, and once again the City Council did not have to look far for a successor. W.H. Maunsell was appointed through a special motion of the Council to finish the term of Giles. Maunsell was Assistant City Controller for twelve years under Giles, as well as a man of similar personality to the former Controller, and was therefore the logical choice to take up the job. Maunsell retained the same strict and upright financial policies of his friend and predecessor, and also refused to allow politics to enter the office. Like Giles, however, he also suffered an untimely death in office. Maunsell died on March 10, 1945, after an apparent fall down the stairs of his home took his life. Once again faced with the prospect of appointing the City Controller, the City Council appointed someone sure to follow in the footsteps of the financial restraint practiced by Giles and Maunsell. 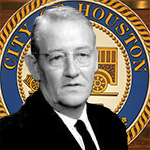 On April 4, 1945, former City Purchasing Agent Roy B. Oakes was sworn in as the sixth City Controller of Houston, and he held the post for nearly twenty-seven years. 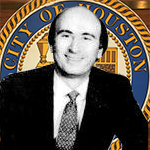 Oakes did more than anyone before him to define the modern role of the City Controller in the finances and government of Houston. He said that the office "is an independent elective office instructed by the charter to audit City of Houston accounts and disburse city funds." Like Giles and Maunsell, Oakes did not take campaign contributions in order to remain strictly neutral and independent from politics. In sum, Oakes maintained the image of the Controller as the objective and honest "watchdog" that was above politics and worked in the City’s best interests. Conflict between the Controller and the Mayor also became more frequent under Controller Oakes as the role of the Controller began to slowly expand. Under nearly every Mayor, Oakes had conflicts over spending policies and bond issuances the Controller deemed to be illegal or inappropriate. In return, Oakes was often blasted by the Mayor as being obstructionist or overreaching the bounds of the position as prescribed in the City Charter. Oakes power grew so great through his tight handling of city funds that one Council Member went so far as to call him a "dictator." 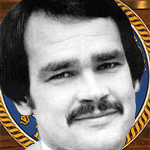 By this time Oakes had earned the reputation of being a strong and conservative Controller, but one who acted with principle and flawless accuracy. Through his extremely conservative control of city funds, Oakes laid the groundwork for future Controller-Mayor clashes over city finances. He made the Controller a more active and conflictive position than the bookkeeper stance that had characterized earlier administrations. However, Oakes’ conflicts were always seen as being in the best interests of the City, and citizens knew that Oakes was acting in an honest, intelligent, and thoughtful manner. After suffering a stroke, Oakes was defeated by his first-ever challenger, Leonel Castillo, in 1971. Leonel Castillo defeated Roy Oakes in the October 20, 1971 election, and with this victory ended the twenty-six year reign of a popular and respected incumbent. With this victory, Castillo became the first Mexican-American ever elected to Houston city office. Castillo continued the tradition of an independent Controller, going so far as to say that the Controller "needs to be an independent cuss" to do the job properly. While maintaining the Controller’s spirit of independence, Castillo continued the expansion of the power of the City Controller. He took positions and pressed for changes on such issues as tax reform that previous Controllers had generally left to the Mayor or City Council. Castillo also led Mexican-American advocacy groups and came onto the national scene on issues of race and discrimination. While previous Controllers were only interested in financial issues, Castillo was able to become a spokesman for important civil rights issues, as well as a force on financial issues. Another change that expanded the power of the Controller was a dramatic increase in staff, as the size of the Controller’s staff doubled under Castillo. After increasing the reach of the Controller even further and giving the Controller influence over more issues than his predecessor, Castillo was in 1977 appointed to be the Commissioner of the U.S. Immigration and Naturalization Service in the Carter Administration. The rest of Castillo’s term was completed by City Treasurer Henry Kriegel. 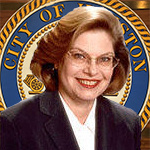 Kathryn Whitmire was elected on November 22, 1977, after a run-off in a race to succeed the departed Leonel Castillo, and, with her election, became the first woman to serve as Controller of Houston. Whitmire’s terms saw conflict on some issues and agreement with the Mayor on others, and her office was a mix of the bookkeeper Oakes and the more politically active Castillo. Whitmire continued the trend of Controller challenges to unbudgeted mayoral spending, but she consented to other programs that previous Controllers had challenged. In the tradition of the recent Controllers, Whitmire did have many conflicts with Council and Mayor over some contracts, and was almost taken to court to resolve one such dispute involving a consultant’s contract, the closest any Controller had come to being taken to court at that time. Later, she was threatened with a lawsuit by Mayor Jim McConn for her refusal to allow bond money to be used for a study on the grounds that the study was not a permanent improvement. Such disputes set the stage for later Controller-Mayor conflicts. Under Whitmire the power struggle between the Controller and Mayor over who has ultimate control over spending would continue to grow. In short, Whitmire continued the escalation of conflict between the Controller, Mayor, and City Council on spending she saw as unnecessary or funding sources she thought were inappropriate, but brought a temporary reprieve from conflict on other issues. This proved important, because she was elected Mayor in 1981. With Whitmire in the mayor’s race, City Council Member Lance Lalor captured the open Controller’s seat after a runoff on November 17, 1981. The election of Lalor signaled the beginning of a level of Controller-Mayor conflict unseen to that time. As we have seen, the Controller has a history of challenging the Mayor over perceived excessive or inappropriate spending, and Lalor continued this tradition of fiscally conservative Controllers. Lalor challenged the need for $100 million in bonds proposed by Mayor Whitmire, and he argued that the bonds pushed the City unnecessarily deep into debt, as had been the stance taken by previous Controllers. However, the conflict between the Controller and Mayor took an even harsher and more drastic tone when Lalor refused to implement the City’s amended budget in 1983 over questions of fund certification. The question of the powers of the Controller resurfaced, as Mayor Whitmire charged that Lalor was trying to assume veto power over the budget, while Lalor asserted he was merely performing his job as "watchdog". This drastic difference in ideologies, with Lalor insisting that he was simply performing his duties as Controller, led Whitmire to threaten a lawsuit against Lalor. As with similar incidents until this time, the situation was resolved without a lawsuit actually being filed. However, this power struggle resulted in Whitmire appointing a Council committee to recommend changes to the City Charter that it was hoped would end the constant feuding between the Mayor and Controller. While the Charter was not changed, an ordinance was adopted for a bond issue process that mandated the inclusion of the Mayor, the Finance and Administration Department, the Controller, and the City’s financial advisors in this process. The constant struggle over fiscal jurisdiction continued for the rest of Lalor’s time in office, and he was still fighting Whitmire’s budget policies, which he deemed extravagant, as late as 1987. Lalor did not run for reelection in 1987, but the power struggle between the Controller and Mayor over spending would continue. Former Council Member George Greanias easily won the right to succeed Lalor as Controller on November 3, 1987. However, Greanias inherited many of the same problems experienced by Lalor, and would engage in the worst Controller-Mayor feud on record. The biggest and most important struggle between Greanias and Mayor Bob Lanier was once again over a bond issue, as the Mayor and City Council again moved to issue bonds that the Controller could not support, this time for legal reasons. Lanier maintained that the bonds would be used for suitable purposes under state and city law, but Greanias refused to sign the order, arguing that their specific use needed to be approved by the voters. Eventually, Greanias was slapped with a lawsuit, the first ever of its type in Houston, and the Controller-Mayor feud had reached its peak. In the end, Greanias won the upper hand when the issue was sent to the voters, as Greanias had argued was proper. The tenure of Greanias as Controller was a landmark in relations between the Mayor and Controller. The argument over whom had the authority to do what with regard to city finances was finally given to the courts to decide. However, even the courts were unable to settle the conflict between the Mayor, who spends the money, and the Controller, who makes sure the money is in the appropriate place to be spent. Even after this debate was settled, the feud between Lanier and Greanias did not end until Greanias was forced out of office by term limits. 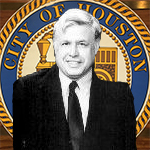 Lloyd Kelley was elected Controller on November 7, 1995 after one term on the City Council. Kelley’s tenure would be a time of decreased conflict with the Mayor, but increased conflict and controversy in other areas. Kelley signaled that his Office would be different by stating that Greanias had tried to expand the Controller’s power too much. Within several days after taking office, Kelley showed that he was going to take the Office in a drastically different direction than Greanias had by initiating several rounds of employee layoffs in order to rid the Office of what he claimed were inefficiencies and high operating expenses. Kelley built more amiable ties with the Mayor and gave more of the Controller’s audit function to outside sources, but this was often seen as reducing the effectiveness of the checks-and-balances system the Controller was supposed to promote. In the end, Kelley’s conduct as Controller proved to be politically controversial. In sum, Kelley took the Office in a drastically different direction than it had been moving under previous Controllers by relying more on outside consultants than City employees to perform the duties of the Office, by partnering with the executive branch in such areas as audits, and by defining the role of the office more narrowly. Kelley was defeated in his bid for reelection to a second term in 1997. Sylvia R. Garcia defeated the incumbent, Lloyd Kelley, on November 4, 1997, and by doing so became the second woman and the second Hispanic to hold the position of City Controller. Garcia was subsequently reelected to two additional two-year terms without opposition. However, in November 2002, Garcia became the first woman and the first Hispanic to be elected to Harris County Commissioners Court, where she serves as Commissioner for Precinct 2. After being sworn into office on 1998, Garcia pledged to uphold the traditional role of the City Controller as the ‘watchdog’ of City funds and to make sure the City’s money was spent effectively and appropriately. Garcia’s goals were based on numerous ways to save both City and taxpayer money, especially by privatizing the city payroll process and improving ways Houstonians pay city fees. She initiated direct deposit for vendor checks as part of streamlining the way the City does business. During Garcia’s tenure, the City Controller’s office increased the number and depth of audits of City departments. In undertaking those audits, City Controller Garcia earned the reputation as a strong and objective ‘watchdog’, which resulted in a conflict with the Mayor over who has the power to perform certain types of audits. Judy Gray Johnson was appointed to fill the unexpired term of Controller Garcia. For the five years prior to her appointment, Ms. Johnson served as Chief Deputy City Controller, a position second-in-command to Ms. Garcia. Ms. Johnson reorganized the office, cut operating expenses. During her tenure, the City's General Obligation Debt received a coveted 'AAAf" rating from Standard and Poor's Investment Services. She streamlined the organization and cut operating costs, submitting the lowest budget ever for the Controller's Office. 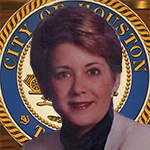 Ms. Johnson's service to the City of Houston began in 1980 when she was appointed Deputy City Controller under Ms. Whitmire. She also served as Deputy Director and Assistant Director of the City of Houston's Department of Finance and Administration. A Certified Public Accountant, she later served as Director of the Department of Finance and Administration for Mayor Bill White. During her first two terms as Controller, Ms. Parker helped win overwhelming voter approval (85%) of Proposition 3, which gives the Controller's Office the independent authority to conduct performance reviews of all City departments, agencies and programs. She was also successful in securing a seat for a controller's appointee on the Houston Municipal Pension System Board of Trustees, marking the first time the city's chief financial officer has had any involvement in the pension system. In addition, Ms. Parker was tapped by Mayor Bill White to serve as a member of the stakeholders committee overseeing an independent investigation of the City's troubled crime lab, helped lead a task force charged with developing new funding options and policies for solid waste collection in the City of Houston and oversaw implementation of a new paperless payroll system that is saving the City $1 million annually. 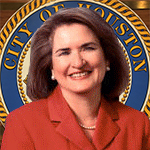 Prior to her election as City Controller, Ms. Parker served for six years as an at-large member of Houston City Council. She chaired city council's Fiscal Affairs and Neighborhood Protection Committees and served on eight other committees, playing leadership roles in the creation of the City's $20 million Rainy Day Fund, a civic art program, a pooper-scooper law, tighter regulations for inner city development and the City's non-discrimination policy. She also represented Houston on the Alliance for Interstate 69 Texas Board, the Municipal Solid Waste Management and Resource Recovery Advisory Council of Texas Commission on Environmental Quality and the World Energy Cities Partnership. 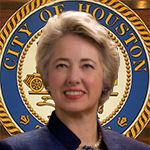 Ms. Parker was elected Mayor of Houston on December 12, 2009. She completed three terms as mayor, leaving office under the term limits law on January 2, 2016. 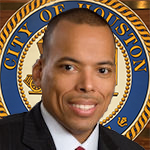 Ronald C. Green was elected Houston City Controller on December 12, 2009, after serving three terms on Houston City Council, At-Large, Position Four. On City Council, he chaired the Budget and Fiscal Affairs Committee, overseeing the City’s annual budget of nearly $4 billion. While he served on City Council, his work entailed regular financial and operations reports, strategic purchasing, and municipal court reform. He also served as a member of the Transportation, Infrastructure and Aviation Committee and the Ad-Hoc Committee on Legislative Affairs. As City Controller, Mr. Green oversees a $13 billion debt portfolio and over $2 billion of investments. With rates at historic lows during the past three years, the Controller’s Office has sought out several refinancing opportunities that have generated over $220 million in savings without extending the life of the debt. In addition to management of the City’s treasury functions, every payment issued by the City of Houston is processed by the Controller’s Office. The Office also prepares several reports to provide financial data and operational statistics regarding the City, including a monthly report, an annual audited comprehensive statement, and a trends report. The Controller’s Office also includes the Audit Division, which has primarily concentrated on identifying inefficiencies and evaluating the City’s outside contracts. Through Audit’s efforts, the City has realized $7.5 million in savings. For the past 12 years, Chris has worked at Houston City Hall. In his previous position, Chris served as Chief Deputy City Controller, where he managed the day-to-day operations and lead the Executive Division of the Controller's Office. 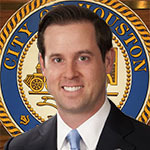 Chris is a member of the City of Houston's Investment Committee and is involved in the management of the City's $13 billion debt portfolio, $3.8 billion investment portfolio and $5.1 billion budget. He also supervised the compiling of the City's Comprehensive Annual Financial Report (CAFR), and has helped lead efforts to expand Bank on Houston, a public-private partnership which works to improve Houstonians' financial literacy and independence. Prior to being appointed Chief Deputy City Controller in 2009, Chris served as City Council Chief of Staff, overseeing community development initiatives and serving as a liaison to the Budget and Fiscal Affairs Committee. Chris was elected Controller on December 12, 2015 for a four year term beginning January 2, 2016.